How Long Does Fioricet Stay in Your System, Blood, Urine? How Long Does Fioricet Stay in Your System? Can drug tests detect Fioricet? Yes. 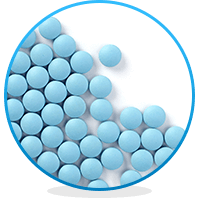 Although testing for Fioricet is not common, some tests can find the drug in your system, and your results can show positive for barbiturates. That’s because Fioricet contains Butalbital, Acetaminophen, and Caffeine; and Butalbital is an intermediate-lasting barbiturate. For instance, an EIA test (the immunoassay technique), can detect Fioricet for up to 72 hours. Fioricet can remain in a person’s system for up to 4-5 days. However, many factors affect that: overall health of the user, dosage, history of abuse, and of course, metabolism rates. Note that the half-life of Butalbital is 35 hours, of acetaminophen- 1-3 hours, and of caffeine– around 3 hours. Urine tests can detect Fioricet for up to seven days. Fioricet, or the combination of Butalbital, acetaminophen, and caffeine, is usually used for the treatment of tension and unbearable headaches. That might sound harmless but remember that the drug can lead to severe consequences for the user. One of the potential risks is that Fioricet can show up on a drug test, which can result in job loss. Fioricet stays in one’s system for up to 4-5 days. Like any other drug, we can’t say how long Fioricet will stay in your system as many factors affect the duration and elimination of the drug. Butalbital: This barbiturate is absorbed by the gastrointestinal tract, with a half-life of 35 hours. Elimination of the drug happens via the kidneys. Some metabolites can also be present in the urine sample. Acetaminophen: The plasma half-life of acetaminophen is between 1 and 3 hours, and the elimination of the drug is by liver metabolism, followed by renal excretion of different metabolites. Acetemenephine is very hard on the liver for this reason and may cause liver failure. Caffeine: Caffeine is rapidly absorbed by the body, with a plasma half-life of around 3 hours. The drug clears through the urine. It’s interesting to mention tests may find metabolites, but find only 3% unchanged caffeine. One can feel the analgesic effects of Fioricet within 2 hours. These effects last between 4 and 6 hours. As stated above, Butalbital has a long half-life (35 hours), which makes this drug intermediate-acting barbiturate. Although people don’t abuse barbiturates as they did a few decades ago, officials, companies or health professionals may still test for Fioricet. For instance, EIA (immunoassay technique) and GC/MS (gas chromatography/mass spectrometry) can detect barbiturates. How Long Does Fioricet Stay in Your Blood? Tests can detect Fioricet in your blood. Tests can detect Butalbital intake for up to 72 hours. How Long Does Fioricet Stay in Your Urine? Urinalysis is among the most popular forms of drug testing. Although testing for the 3 ingredients of Fioricet is not universal, Fioricet detection in your urine is possible. The detection time is up to 7 days. How Long Does Fioricet Stay in Your Saliva? Fioricet can be detected in swab tests, although it’s not a common procedure. The detectable levels in oral fluid show positive for up to 2 days. How Long Does Fioricet Stay in Your Hair? As most labs don’t do hair tests for Butalbital, there’s no precise data. However, have in mind that hair tests have a long window of detection (up to 90 days). To prevent any accidents, always use Fioricet as prescribed. Addiction Resource » Addictive Substances: The Anatomy of Drug Addiction » Fioricet Addiction and Treatment » How Long Does Fioricet Stay in Your System? I’m on fioricet to help with shoulder and neck pain due to fibromyalgia being so bad! Recently was sent to pain clinic because I’m going to have back surgery! The pain clinic doctor put me on dulided 4mg once a day! My family doctor wants to take me off of the fioricet because of any interaction. Can that be a problem? Perhaps you could try Fiornal. It has aspirin instead of acetaminophen, which is really tough on the liver. Maybe ask your Dr about the change. Both Fioricet and Fiorinal work well! I take fioricet for migraine headaches. I also take gabapentin as a preventative. I take the gabapentin several times a day & fioricet only when I have a migraine. Gabapentin has drastically reduced the number of migraines I get as they used to be daily. Can you just stop taking this drug if you have been talkin it for years for headaches most everyday? Can you stop fioricet at ice without going through withdrawals. I have been on them for over 15 years for migraines approximately 6 a day? I took Esgic Plus for probably at least 15 years for a headache. I finally went to neurosurgeon who could not see in cat scan X-ray or MRI a reason to do surgery. I had hit the back of my neck on a counter top we had to go under at work. So I always felt like it was something to do with that. I mean it always was a back of the neck spinal feeling headache. I had a headache for 10 years and sec medicated with Tylenol, Motrin, Benadryl (for sleep) and ocassionally a trip to emergency room. I called my GP one day and told him if he didn’t give me prescription that got rid of this headache that I would see another doctor. He prescribed Midrin. The first one I took helped so much it didn’t completely rid of it. So I changed doctors and he put me on esgic plus I started on the 500 but you know they took the Tylenol down on everything and I ended up on 350. I took it for 15 years AS DIRECTED I went to a neurosurgeon in 2014 when my performance at work was declining after going from one location to 9. I wAs up to 6 a day on occasion. I convinced the surgeon I was willing to take a chance on the neck surgery. He only gave me 40% chance of any improvement. I said let’s do it. He did the surgery and I remember the nurse asked me how I felt upon waking up from the surgery I remember I started to cry and told her I had a headache THAT headache. She said well let me go and get one of your headache pills. I took the Esgic plus for the last time that day. My neck had been broken for 25 years and never diagnosed so every time I picked my head up or down the broken bones would go into the nerves. The surgery helped my headaches at least 90 %. I still have to have back surgery but it shows if you use your med for pain as directed and not for pleasure it is not addictive. If you have pain don’t give up keep pushing until someone hears what you are saying! Elizabeth, I don’t think sheila meant that as glibly as it may have sounded to you. As you pointed out, some are fat, some skinny, and in the same vein some more prone to addiction than others. She probably had withdrawal of some type but didn’t even realize it through he surgery and those aftereffects, and a tapered down pain med program. Like you also said, addiction is a disease, not everyone has that to the same degree. That said, of COURSE we should All be exceedingly cautious of using fioracet or any other addictive drug. I’ve been on this for 3 decades, but take breaks as often as I can stand to. I just wanted to point out sheila most likely didn’t mean to undermine true addiction. I go to a painanaant for my back ,but lately went to a clinic for my headache, and give me fioriset,now I’m worry ,I’m going to see my pain manegment in 2 days and worry that the test will be dirty. My Dr burns the nerves in my neck, and this relieves my tension/stress headaches. I used to take fioricet for my headaches, but since the burning of the nerves, I don’t have to.